I stand at the crossroads and look . . . and I try to imagine what life might be like if I do things in a way I’ve never done them before. I try to conjure up the best and worst case scenarios that might be catapulted into existence if I step out into unfamiliar territory. 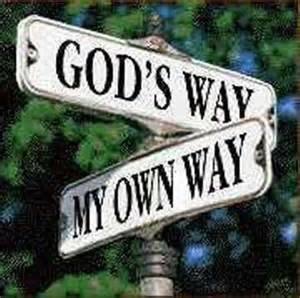 What will I find if rather than pursuing the path of “what I know” and “where I’m comfortable” I take God at His Word, believing that He will always lead me in the good way, and I step out in HIS NAME? What if instead of being limited by what my finite mind can see, I trust the Infinite and allow Him to unfold a God-sized vision concerning me? Honest answer is, “I don’t know.” Full confession is, “I might not be brave enough to find out.” I often pray for a spirit of contentment to settle over me. To be certain that my days, no matter how secluded or contained within the four walls of Biddinger Boulevard they might be, are spent pursuing His agenda and not mine. There are days when other than one another, we don’t come into contact with anyone. So at times, it’s hard to imagine that there is a vision that includes us, let alone to conceive that a God-sized vision might be in the works. But I firmly believe that this time of “quarantine” has come straight from the hand of God and it has come for a holy purpose. I don’t want to miss it. I don’t want Brett to miss it. I want us to heed the words of the Lord to be “strong and courageous” and to take every opportunity to seize the cities He sets before us–even if it appears that we are the only ones occupying those city streets. Not everyone is given a time in life when they are required to limit their activities and I so pray that we are faithful with the gift we have been given. I think the worst thing that could happen is that Brett would finally be healed and we would look back to find that physical restoration was all that had occurred. To whom much is entrusted, more will be asked. Perhaps the God-sized vision requires the more. Maybe it’s in the unfamiliar territory that we will truly begin to see. I recently shared with a friend that God has turned me upside down by diligently shining His light on all the places I would rather just keep hidden. It hasn’t been exactly unpleasant (it’s actually been exciting) but it has had a feeling of “are you kidding me? There’s more?” I’ve said aloud on more than one occasion, “Marilyn, will you ever get to the bottom of yourself?” (I grew up with Marilyn being my trouble name and I’ve carried the tradition forward 🙂 ) Just when I think all the self-serving goop has been dug out, I start to smell a not so pleasant aroma emanating from my heart and I realize . . . more goop has bubbled to the surface. Another bastion of judgementalism is uncovered. Another stronghold of haughtiness brought to light. Another fortress of jealousy is revealed. While somewhere in my mind I understand that all that goop dredging is a required part of the process, it doesn’t always make cooperating in the whole thing come any more naturally. I tell myself that that’s probably true for almost everyone. It makes me feel better to think that feeling exposed and vulnerable with all your goop laid out on the Throne Room floor would be a little difficult no matter who you are. Exposure. Vulnerability. Sounds risky to me. Are you ready for that? Are you that brave? What if only a handful of us were to answer that question with a resounding “YES”? We would, undoubtedly, turn the world upside down. If only a few were committed to truly make Jesus the Lord of their lives, life as we know it would cease and life, true living, would really begin. Henry Blackaby writes that you can’t say “No, Lord” because it presents an oxymoron. If you say “No”, He’s not your Lord. Plain, simple, true. I’m praying to be one of the handful. I’m asking God to make me one of the people you’d be pleased to join with in taking the world by storm. I’m petitioning Him to make me into a warrior who does not flinch in her belief that the victory is already won. Girlfriend, the battle that rages over you in the heavenlies is huge. I want to be the one you want at your back. And I want that life of tenacious commitment for you too. When people meet us, they ought to see something different. Something more. Something Divine. They ought to see Christ in the unique way that He displays Himself through each one of us. I might even be so bold as to say, they ought to glimpse glory. So what do you say if for the next week we live as if we are unafraid? We obey the small nudges from God rather than talk ourselves out of acting because we aren’t absolutely, 110% sure, convinced beyond the shadow of a doubt that it was God’s voice. We look undeterred at the dark places He reveals, repent, and take the path He leads us down. If it doesn’t contradict Scripture and it’s consistent with God’s character, what say we throw caution to the wind and err on the side boldness? Err on the side of obedience? Why not do the good thing? Corny as it may sound, we’ll never pass this way again. So, let’s just see where the God-vision goes. Even when it’s unfamiliar. Even when it’s uncomfortable. And especially when it doesn’t fit within the confines of our finite imaginations. I have to believe that the Divine of God, the All of Elohim, who has entrusted us with much will never ask for more than He has given. Sister, the way of the Ancient One is good — let’s be brave enough to walk in it. Oh Beautiful Bedlam! You have hit the nail on the head. One might wonder if you had been challenged to radically believe Him from a very young age!!! I love your heart for Him. I read this after preparing for our small group tonight on James 1:17 Every good and perfect gift is from above, coming down from the Father of the heavenly lights, who does not change like shifting shadows. What if I really believed that! I would not be afraid to do or go anywhere. I would understand that God only has the best planned for me. I’m inspired and challenged – keep me accountable good friend! What say we do a mutual accountability? Praying for your ladies group, your international outreach, and the protection of your beautiful heart. Oh how He loves you!!! !